Wordless Wednesday – Memorial Day! Welcome to this week’s edition of the Wordless Wednesday Blog Hop — hosted as always by my friend Deb from Focused on the Magic! We don’t have a whole lot to share with you today, really just some pictures that remind us of Memorial Day, in honor of both our country and Deb’s theme for this week, but we hope you enjoy our offering nonetheless! 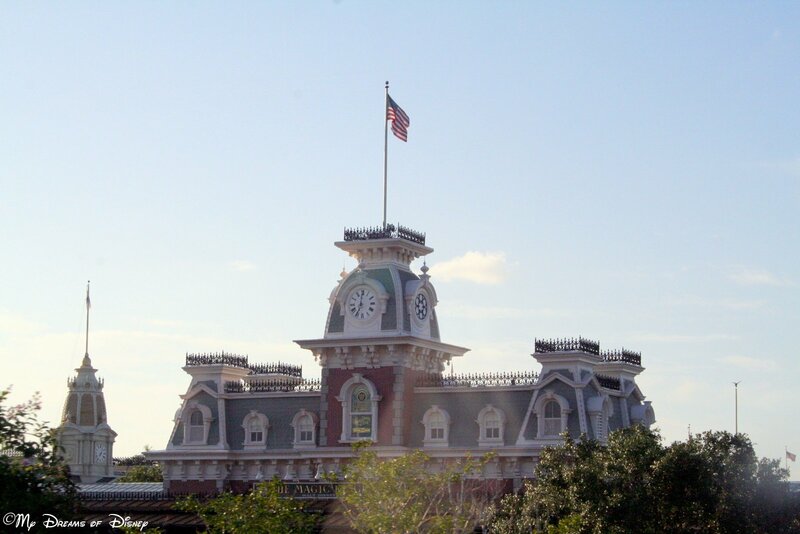 The first picture is of the Walt Disney World Railroad’s Main Street Station. I don’t know why, but this picture, with the American Flag on top, just screams “Americana” to me! 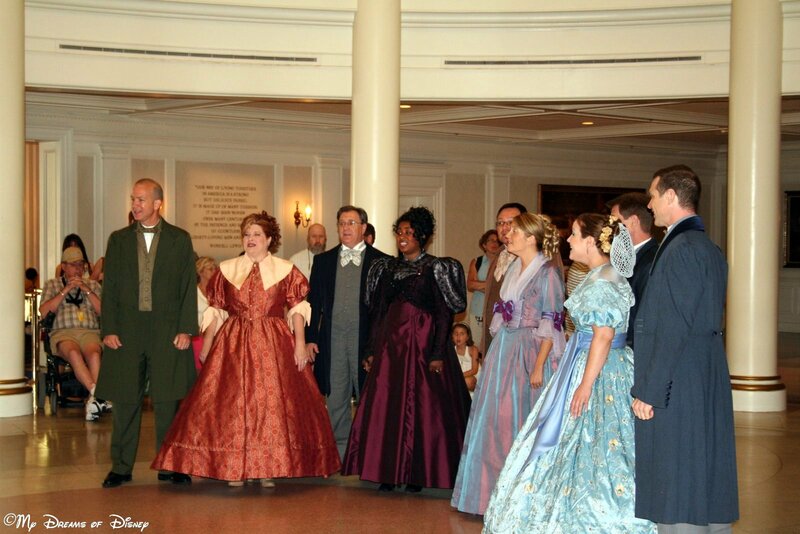 The second photo I’m sharing with you is of the group Voices of Liberty — that you can hear at the American Adventure Pavilion in Epcot’s World Showcase! They are a great group — well worth listening to — so stop by and hear them before seeing the show! Our last picture to share with you is of the colonial band that is marching on their way to (or from) the Liberty Inn restaurant. They are great to listen to also, so make it a point to eat a leisurely lunch at the Liberty Inn and wait for them to appear. You’ll be glad you did! Thank you for stopping by today — now, please, go check out the rest of the entries! Just click on the button below to see the rest of the entries, and thanks! Ridemakerz is a store located in Downtown Disney where you can purchase and make your own tricked out cars, with hundreds of options, including remote control capability. It is our choice for Day 23 in our countdown to Disneyland! I would imagine that the cost you could spend in this store could skyrocket if you weren’t careful, so while we will likely go into the store, don’t be surprised if we don’t buy anything! 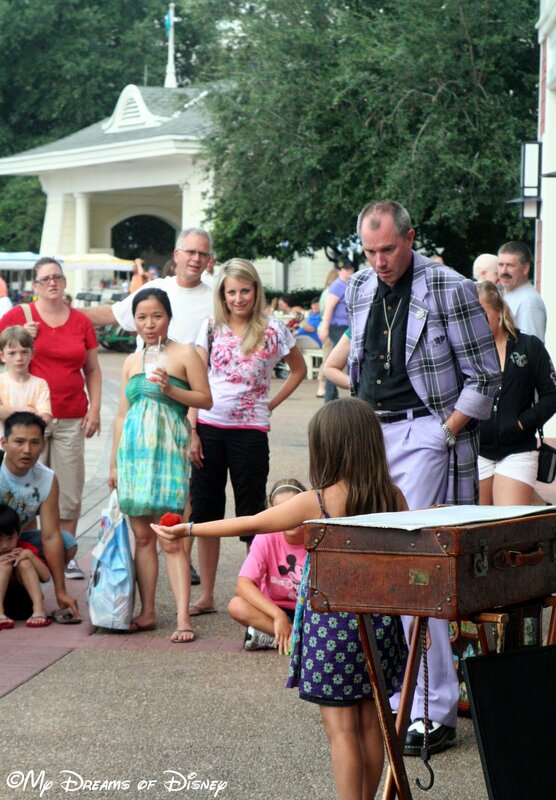 Have you ever been to the RideMakerz store at Downtown Disney? If so, what did you think of it? Let me know in the comments, and thanks for stopping by! Hello everyone, and special thanks to my friends on the Magical Blogorail Teal team for allowing me to grace their presence on this loop! I love talking about Walt Disney World attractions, so I thought it would be a great challenge to come up with some that don’t require a ticket! 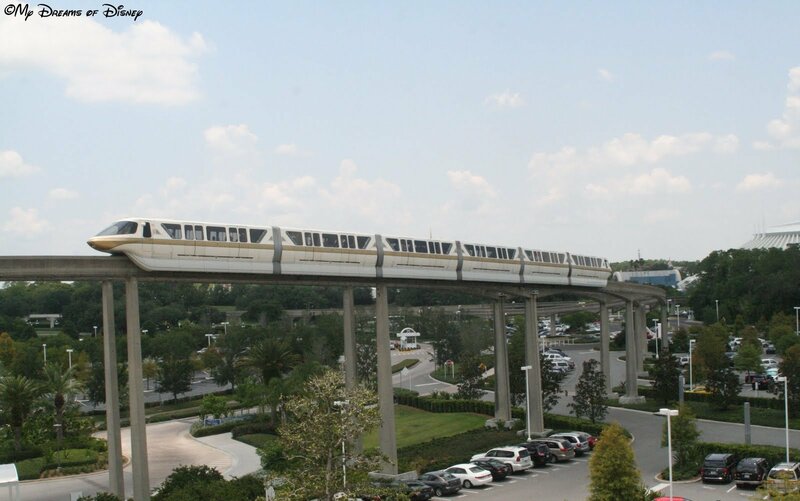 First up on our list of favorite Walt Disney World “Attractions” without tickets has got to be riding the monorail! 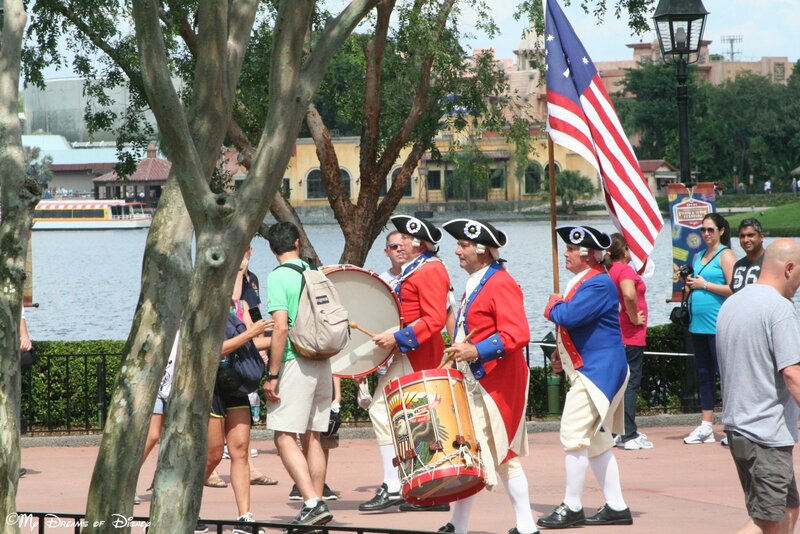 You can go all around the Magic Kingdom area, you can ride over to Epcot and back, you can do both — and it’s all free! 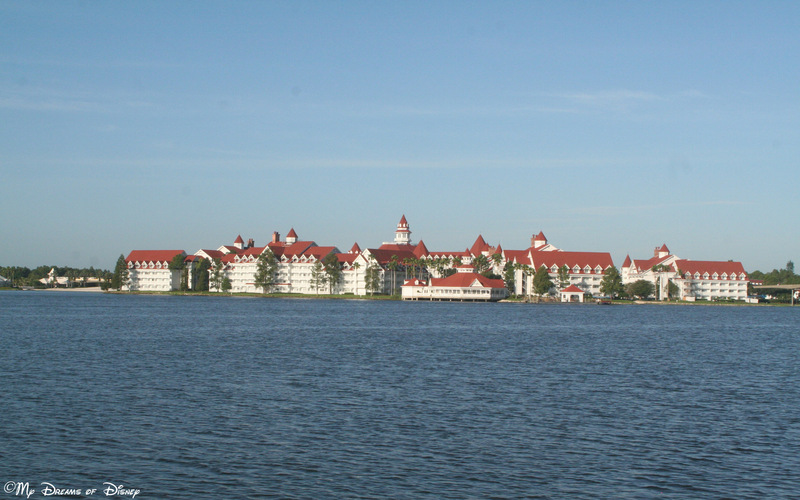 One of the fun things to do at Walt Disney World is to take a boat ride over to the Magic Kingdom resorts — such as the Grand Floridian (pictured above). You can enjoy a great, leisurely ride, get off, take in the scenery at each of the resorts, and more! 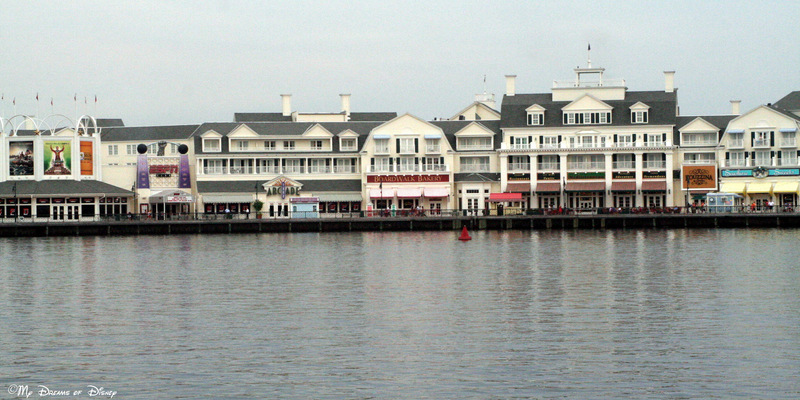 The Boardwalk region of Walt Disney World spans Disney’s Hollywood Studios and Epcot. This unique area is home to three great resorts — the Beach Club Resort, the Yacht Club Resort, and the Boardwalk Villas. 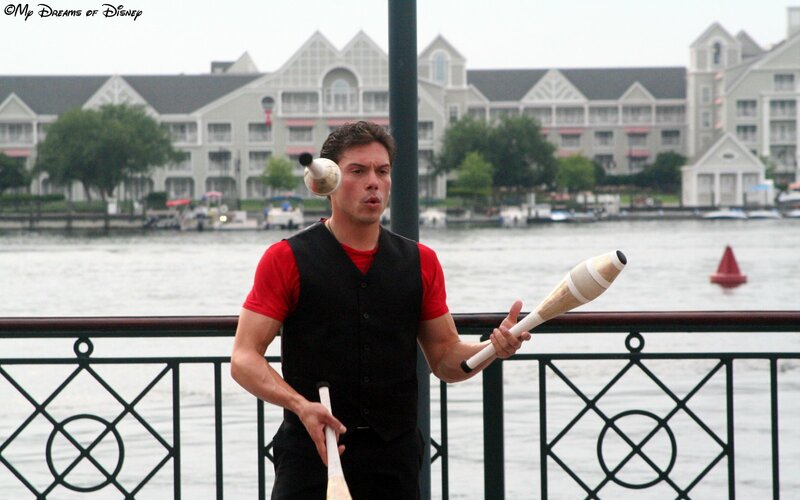 In addition to the great resorts, there are incredible places to eat and shop, and every night, you can also check out the street performers as they entertain the Guests to the area (pictured below). Attraction #4: Taking a Slide at the local pool! Perhaps one of the biggest thrill rides outside of the parks is in at number four in our list…enjoying the slide at your resort swimming pool! 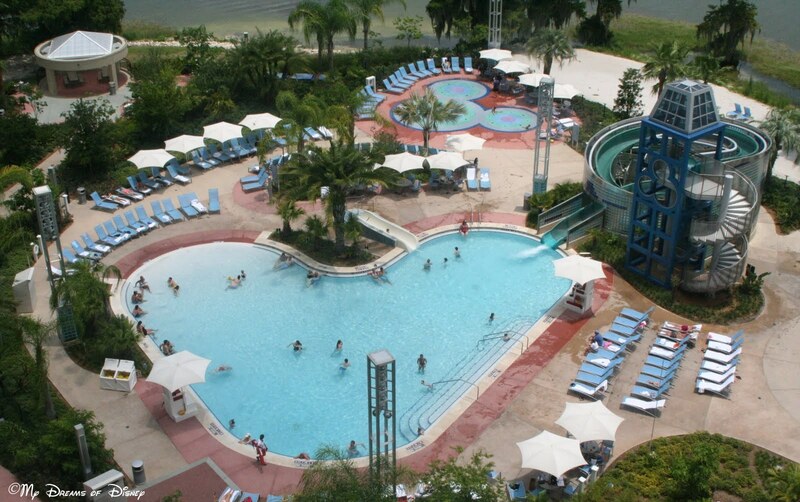 The slide at Bay Lake Tower at Disney’s Contemporary Resort, for example, is about two stories high, and goes through two complete loops, with the second loop really picking up speed as you enter the pool! Fun! *Note: When we purchased a ride on Character’s in Flight, I don’t recall being given a ticket, just the receipt of our purchase of the ride…so I’m counting this. Characters in Flight was an attraction at Downtown Disney that we rode in 2010 (actually, I didn’t ride it, but my wife, daughter, and niece did). You all probably know about it closing, but it has reopened, and is back on my list of things to do and enjoy! The picture above was taken from the balloon by my wife! Thank you for joining Magical Blogorail Teal this month. Our next loop will be in June with an all new theme. Keep checking in with our blogs in between loops to keep up to date with our Disney info, photos and stories. If you are looking for more Disney magic, you can make your way over to The Magical Blogorail website to see all our members and their blogs, as well as all our previous loops.